Extraordinary experience for the unique minded who relish the chance to learn new skills. 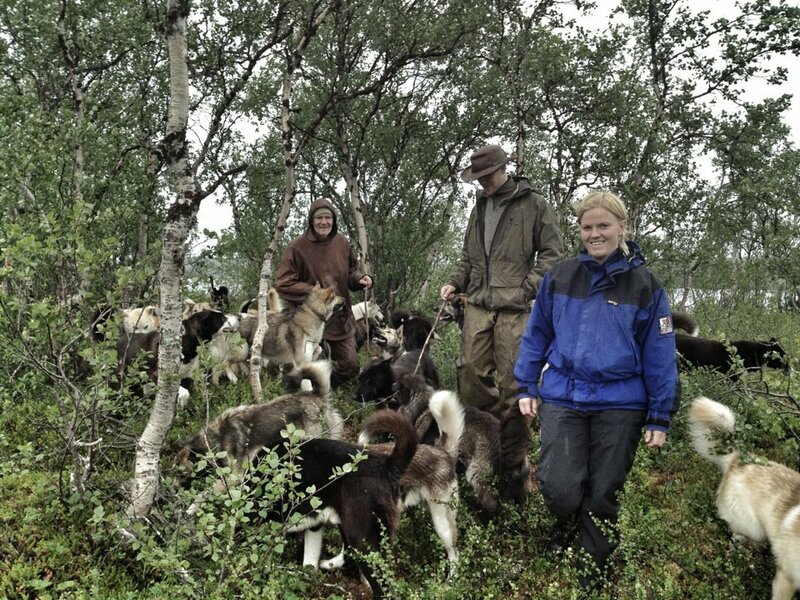 You are welcome to join in our daily life and spend some time with the Engholm Husky team! There is always a lot happening on our farm. 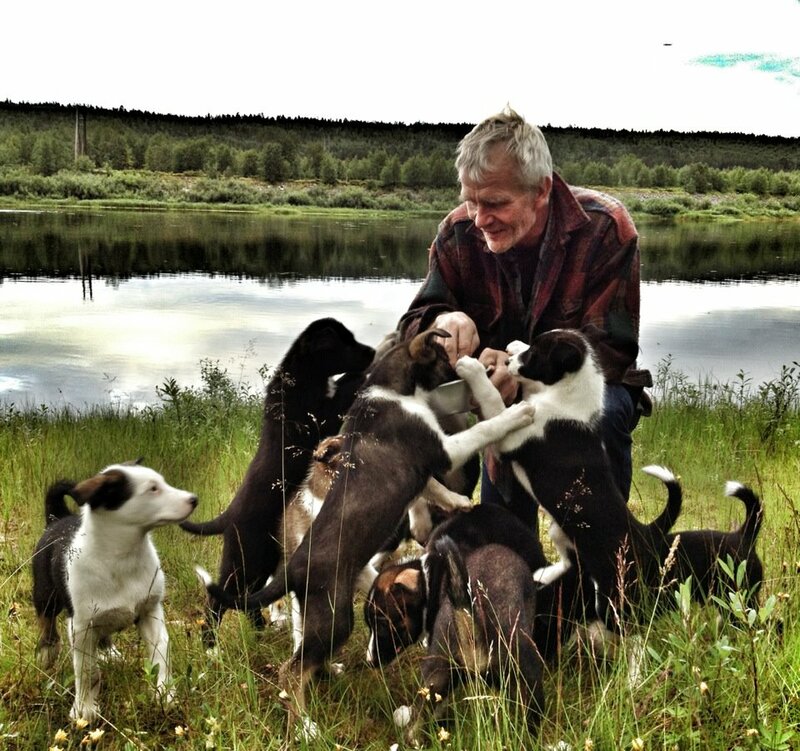 Sled dogs are in training, puppies are learning to socialize. 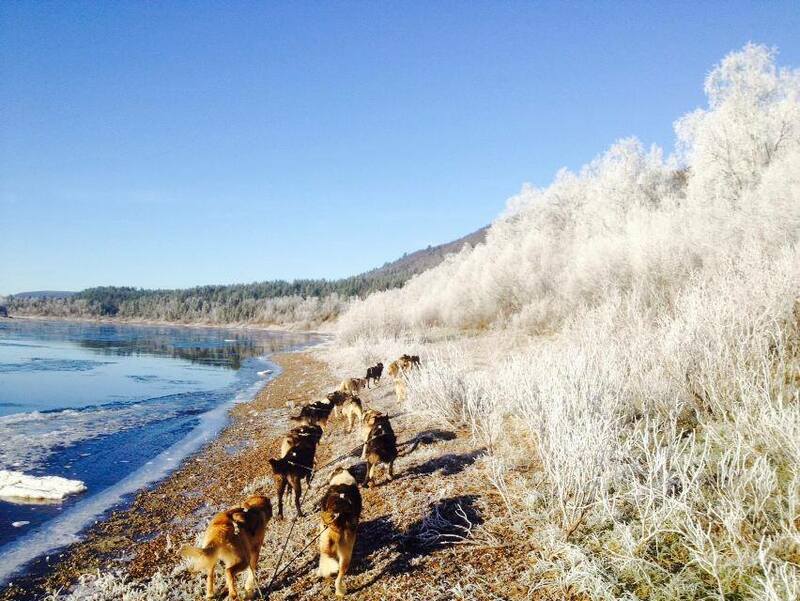 You will take part in harnessing, dog driving, feeding, preparation and other dog musher activities. We are training the dogs on tour about 5 times a week. It gives new and interesting experiences for dog lovers. The guides spend time teaching those new to the sport. As all ‘repeaters’ who come back to "mush" the dogs verify; the dogs really do become your best friends! It's real "dog musher life". We have a lot of fun. It’s not 8 to 4 life but it’s a life stile. You will get good memories that will last for long time and hopefully make your dream come true. SEPTEMBER, OCTOBER. 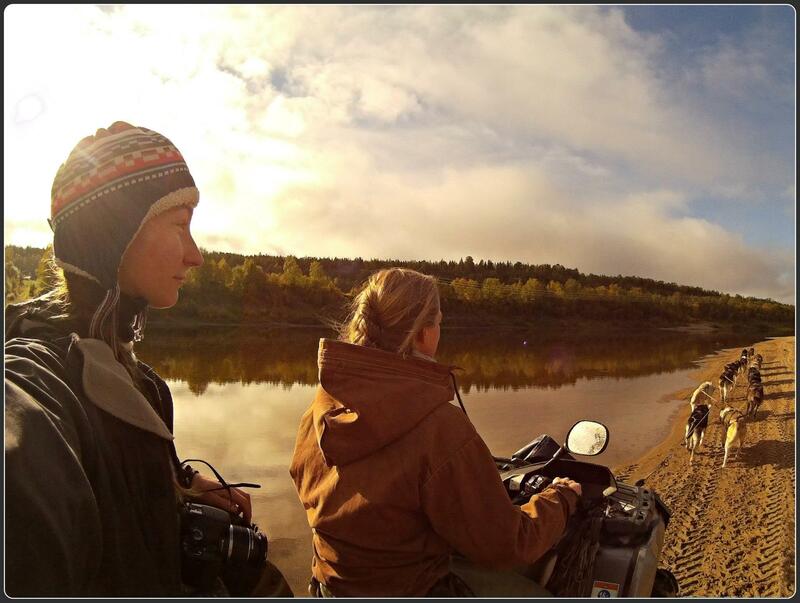 Sled dog training with 4-wheel vehicle starts when temperature is below +15 C. The mosquitos are gone. Autumn weather with clear red and yellow colours. The nights become chilly. In Sept. we get frost and it is snow up on the mountains. 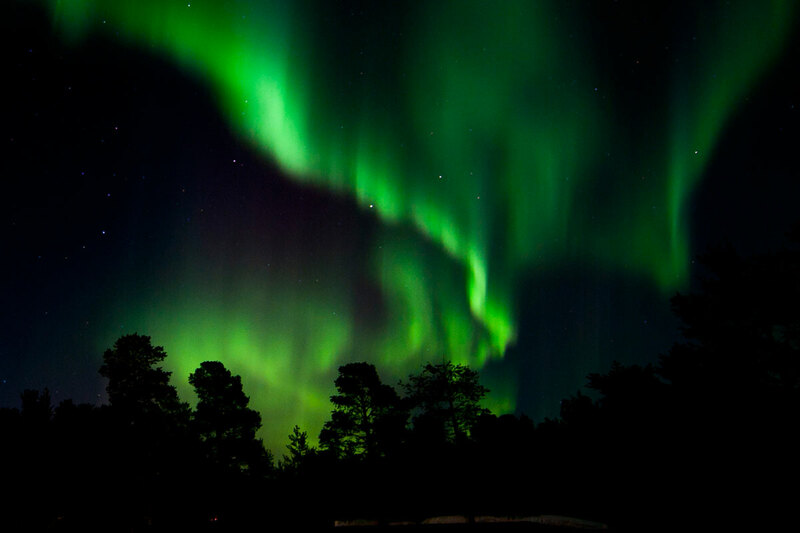 The northern light (Aurora Borealis) is frequent. Smaller private tours can be ventured upon alone if desired: Hiking in the nearby countryside, canoeing and fishing. 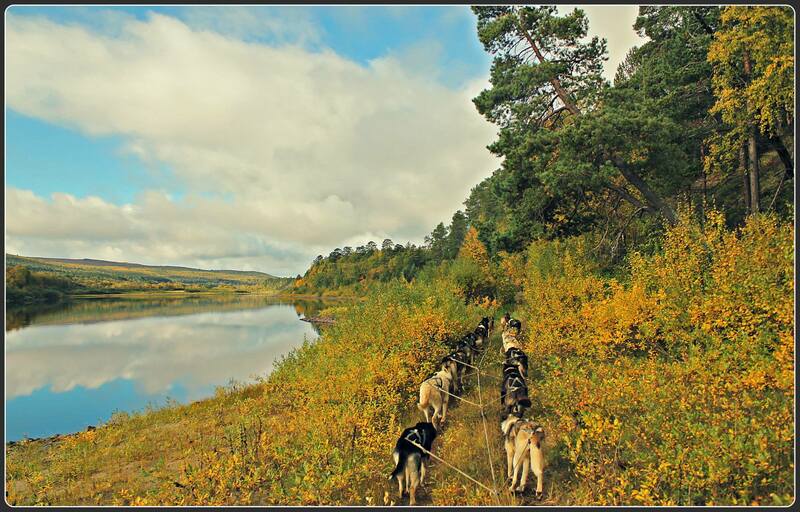 Included in the price: Accommodation on Engholm Husky design lodge. 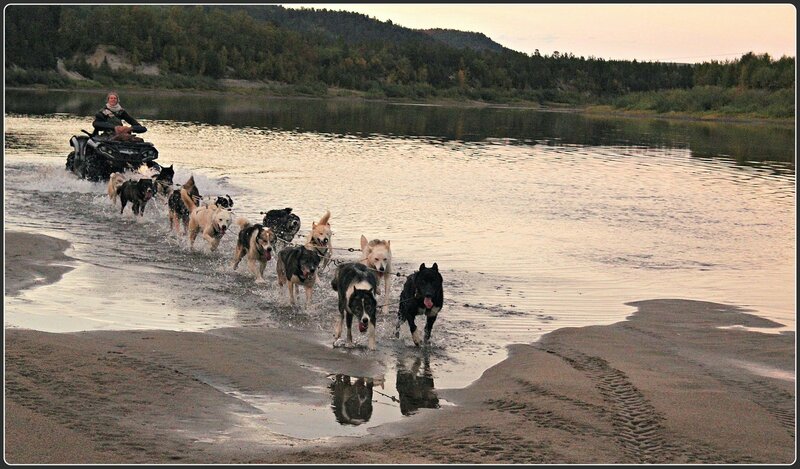 Be a part of Engholm husky staff together the sled dogs. - Meals. The cabin have equipped kitchenette at your disposal. On request, we will gladly serve you breakfast, lunch and dinner. 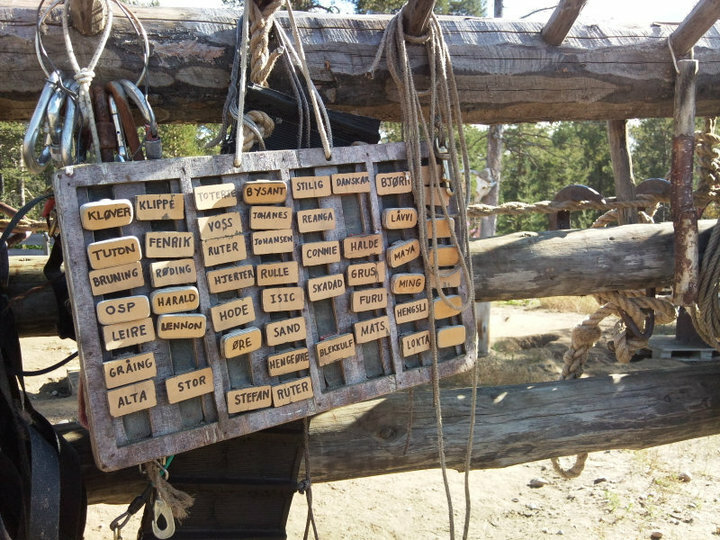 - Transport to/from Engholm Husky Lodge.